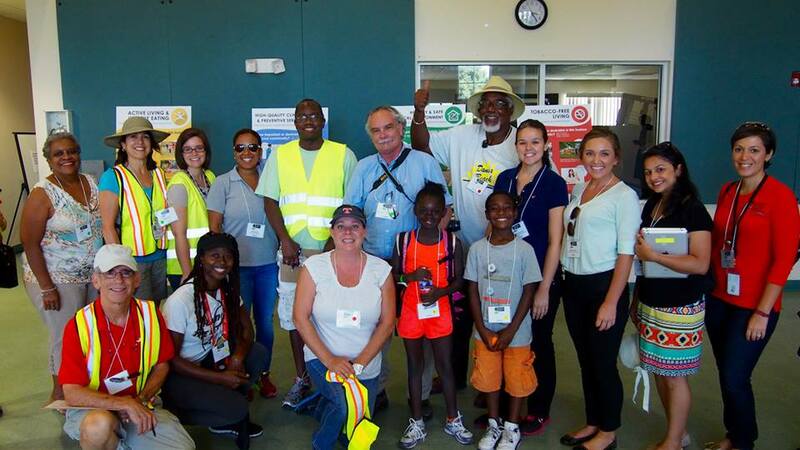 My work building Healthy Community Zones with Urban Health Partnerships and the TOUCH initiative in Broward County is in full swing. 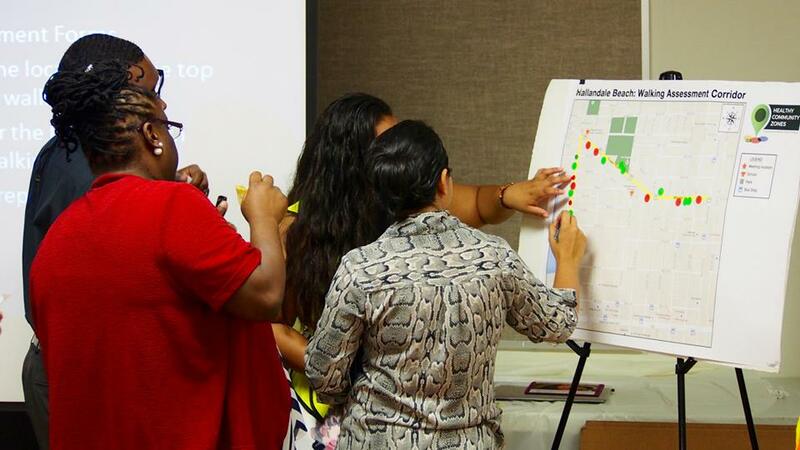 Working with transportation engineers, city and county leadership, health care professionals, education leaders, law enforcement, and most importantly, residents, we’ve been busy conducting Walking Audits and extensive data gathering to connect and build upon existing plans. 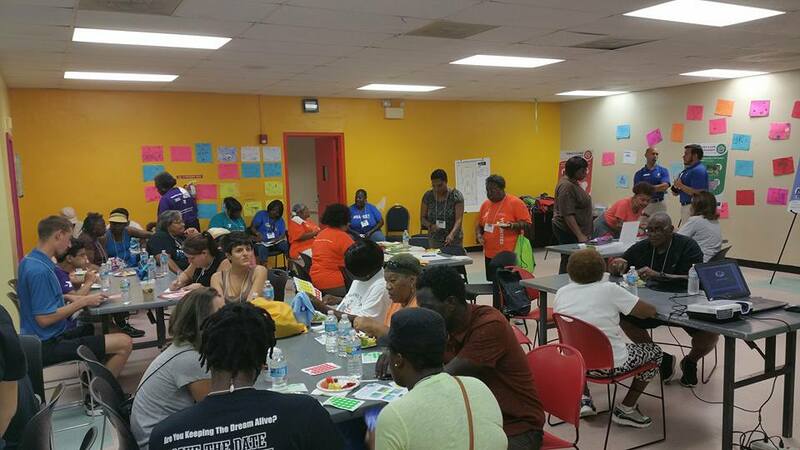 A huge thank you to the host organizations for your time and effort to coordinate these events in a very short time L A Lee YMCA (Ft. Lauderdale), Austin Hepburn Center (Hallandale Beach), C W Thomas Park (Dania Beach), and Delevoe Park (Broward County Municipal Services District). Citizen centered health promotion policy development in action. Photo credits to Beny Schonfeld. You know people are committed when they show up for Walking Audits in the mid-afternoon South Florida August heat!! As we begin tackling the Community Action Plan building phase, a great resource is the leader in Health In All policies work, Change Lab Solutions. ChangeLab Solutions provides community-based solutions for America’s most common and preventable diseases like cancer, heart disease, diabetes, obesity, and asthma. Our solutions promote the common good by making healthier choices easier for everyone. Our method for building Community Action Plans is based on tools from the Centers for Disease Control and Prevention (CDC) and built with the necessary rigor to potentially secure implementation funding. This is what we love, translating community goals into formalized plans that match the right funder to that effort. The TOUCH Healthy Community Zones are on their way! 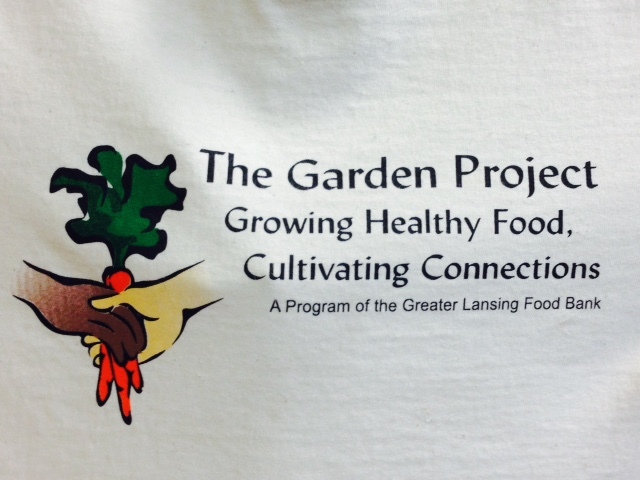 This week’s Walking Wednesday took us to the Garden Resource Center with Julie Lehman, Garden Program Coordinator of the Greater Lansing Food Bank. 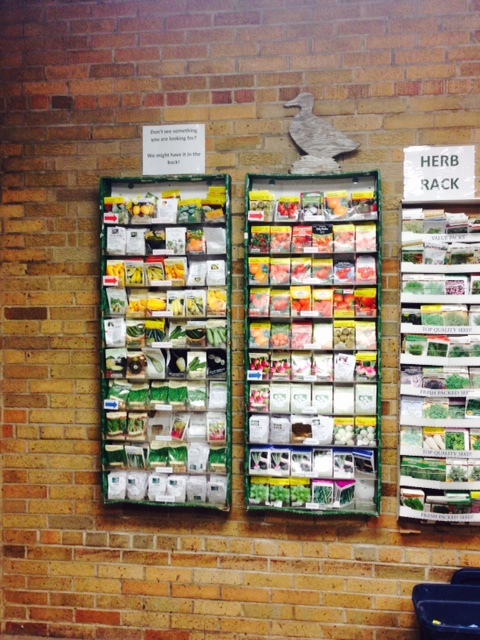 The Garden Project is one of its programs and the Resource Center is its hub. When we visited on Wednesday it was full of neighbors picking up seeds, gardening information, starter plants, and food. There were volunteers everywhere running the operation and working in the gardens. 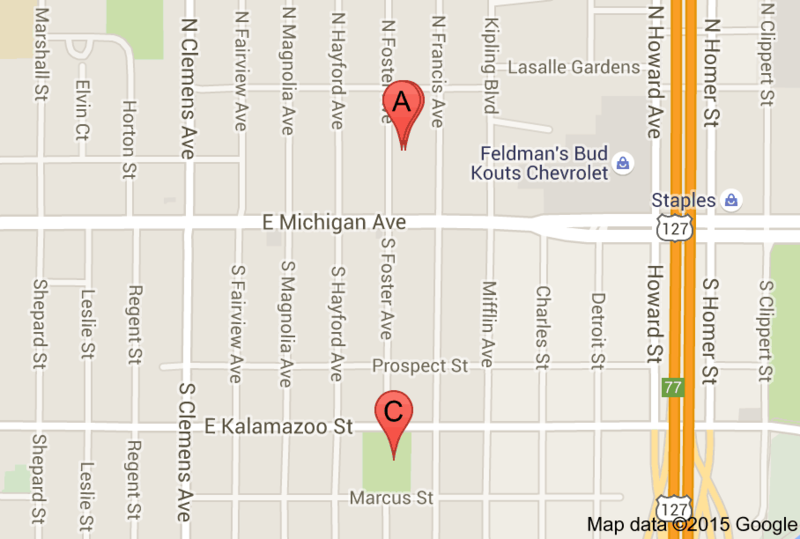 The facility is tucked into the south end of Foster Park (C on the map below–A is the Foster Community Center). From the Resource Center you can see the traffic on both 127 to the East and 496 to the South, yet you are surrounded by green space and large community garden/urban farm projects. 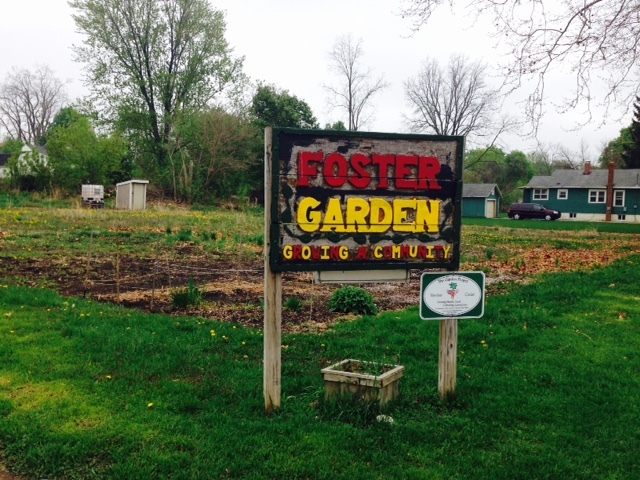 Community gardens and home gardeners can register with the garden program and find a community of growers and support for their efforts. 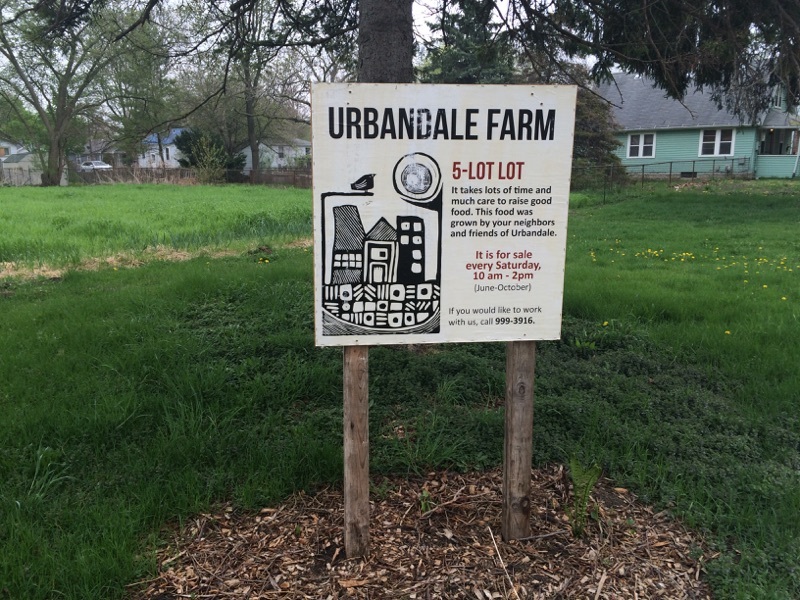 Just southwest of the Resource Center is the UrbandaleFarm. Amazing the difference a sign makes! 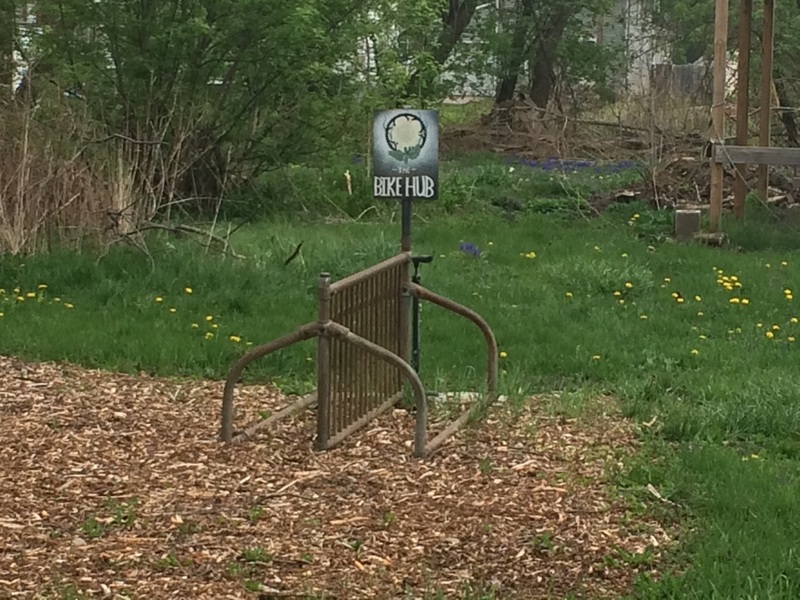 If you’re interested in home gardening, urban gardening, food access, healthy living/eating, or just meeting people who are thinking about these things are creating them in your community, stop in at the Resource Center and learn more. 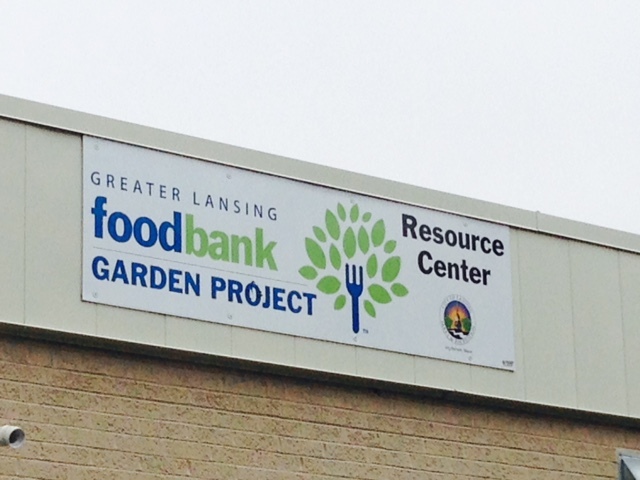 Of course, donate to the Greater Lansing Food Bank to continue their support of these programs and services as we work together to eliminate hunger in our community. 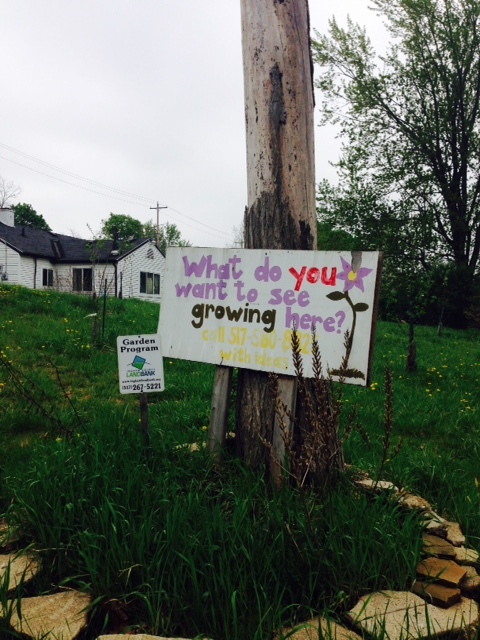 Thank you Julie for your hospitality and we look forward to seeing the bounty of these gardens all summer long! 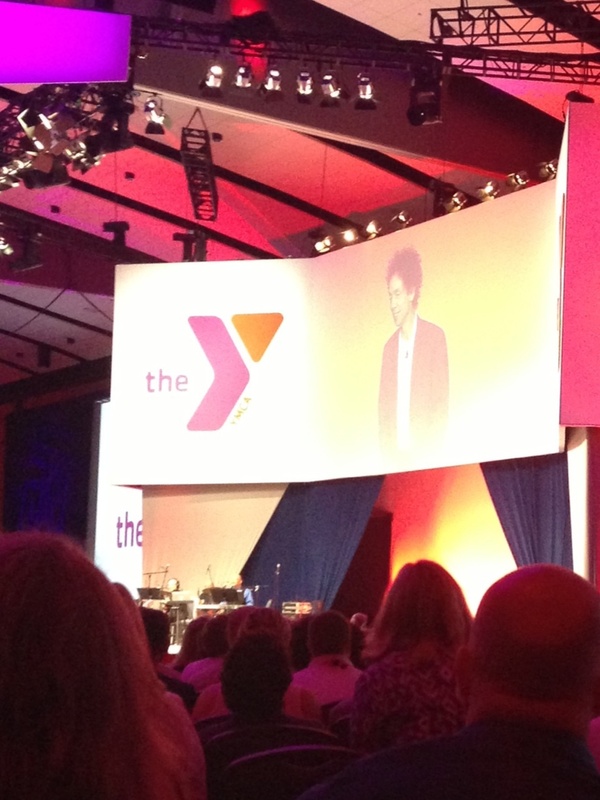 I had the awesome opportunity to attend the YMCA General Assembly in Philadelphia, PA last week. This gathering happens every 3 years and was attended by over 4,000 indivduals, of which, 1,000 were Y volunteers. 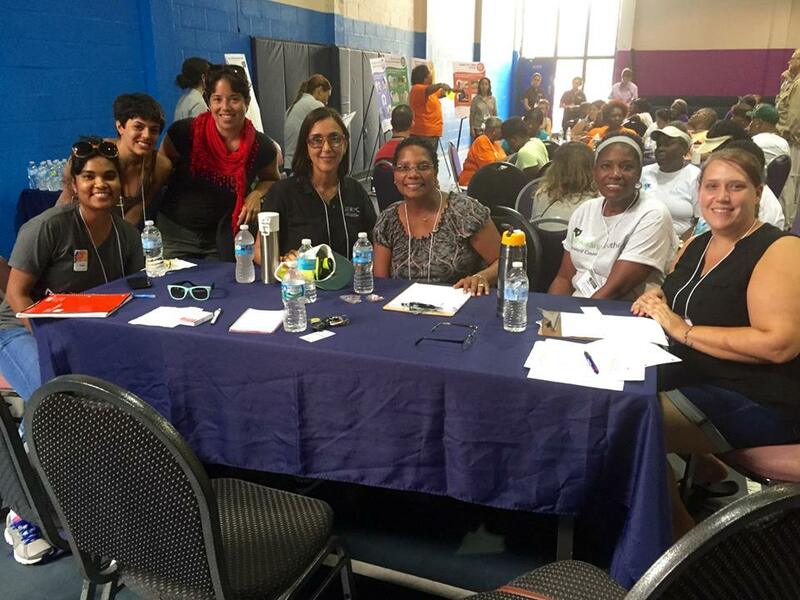 In addition to a wealth of professional development opportunities, the event laid out the forthcoming nationwide Y campaign and development of the national strategic plan for Youth Development, Healthy Living, and Social Responsibility. I was especially struck by author and social scientist Malcolm Gladwell’s comments which said that the Y is the most important vehicle for “human capitalization” in the nation, meaning the Y has the ability to help individuals reach their full potential. When we don’t educate children well, fail to keep our population healthy, and don’t engage communities in meaningful service, we leave talent, potential, and opportunity on the table. The crtical social issues of our time require us to maximize this potential. Always love catching up with District 10 County Commissioner Brian McGrain http://bc.ingham.org/MeetYourCountyCommissioner/District10.aspx a great leader for Lansing’s Eastside. Also, looking forward to coffee today at a Mid-Michigan institution http://www.biggby.com/ with colleague Shannon Lounsberry, Business Development Manager for the Lansing Regional Chamber of Commerce http://lansingchamber.org/. Love catching up with friends and hearing about great things happening for the Lansing economy!